Thirteen webisodes/mobisodes that were released weekly from November 2007 to February 2008 on abc.com (and Verizon mobile phones). 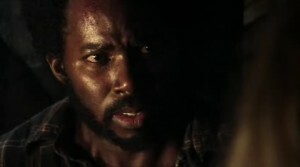 Running between 1:22–3:27 in length, each mobisode filled in a gap in the story from LOST’s first three seasons. Episodes can now be found on YouTube. 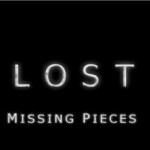 What follows below is the name of each episode, a brief description, and some points on how it fits in with the simulation theory presented in The Myth of Lost. Jack’s dad approaches him as he’s throwing rocks on a beach and gives him a watch that his father gave him before he got married—only, he never wore it because his father hadn’t approved of his choice. 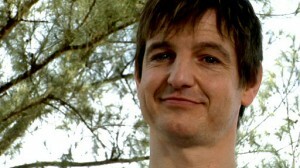 Mr. Shephard says that Jack made a better choice with his soon-to-be wife. Jack puts on the watch and Mr. Shephard says that if they ever have a kid, Jack should try to better a better dad than he was to him. Obviously, this touches on the common “daddy issues” theme prevalent on the show by informing audiences that such issues in the Shephard family go back another generation and possibly more. We also see that Jack’s dad wants his son to do a better job at being job than he did. This gives Christian a motive to put his son through the simulated treatment session referenced in The Myth of Lost. After snatching some wine from Bernard and Rose’s tent, some guy Hurley calls “Frogurt” but claims his name is Neil approaches him and says that if Hurley doesn’t make a move on Libby, he will. I believe Frogurt was first mentioned by Bernard in the episode “S.O.S.” from the second season, but wasn’t seen until this episode. Here, we see a rivalry of nerds of sorts, fighting over Libby, a distressed damsel that both guys feel they have a shot with. By insulting Hurly and challenging him to Libby, Frogurt sets himself up as a bad guy and finally gets his comeuppance in Season 5 with a flaming arrow right to the heart. The moral of the story: don’t mess with love. Ben and Jack play chess as Ben says that the island may not allow him to leave. He also says that the day may come when Jack wishes to return. Jack says never. The game seems symbolic that Ben’s prediction will be proven true (his fancy maneuver prevents Jack from gaining the upper hand), which viewers would’ve already realized by this point due to the Season 3 finally of Jack screaming to Kate that they have to go back. Ben “castles”—flipping the places of his king and rook implying that Jack will switch his tune. Juliet talks to Michael about the deal—that he’ll get his boat if he frees Ben from the Losties. She then goes on to say that she also made a deal with Ben—to stay because Ben saved her sister’s life. Juliet also mentioned that Walt is very smart and very special so she was worried about him. She’s glad that Michael is going to get him away from the island. Why would that be? There are many reasons for this. If the LOST island is a simulation, the Others may want to experiment with Walt in the real world. Or, if the point of Walt and Michael was to develop a relationship, having them go through a harrowing ordeal is one way to do that. Unfortunately though, this plan goes wrong when Michael admits to his son that he killed two people to get them off the island. This is one of the many reasons why the simulation program seems to need a “redo,” which season six just may be, whether they end up back on the island or not. Juliet admits to Jack that she’s still working for Ben and that he wanted her to study the women to figure out which were pregnant so the Others can take them. She also tells Jack that she saw Sun’s baby and if she’s still on the island in about a month, they’ll both die. Juliet also implies that although Locke blew up the sub, it was really all Ben’s doing. She then says, “I’ve been living Benjamin Linus’ dream for three years. It’s time to wake up. “Wake up. Get it? The island is his creation, his baby, his dream. 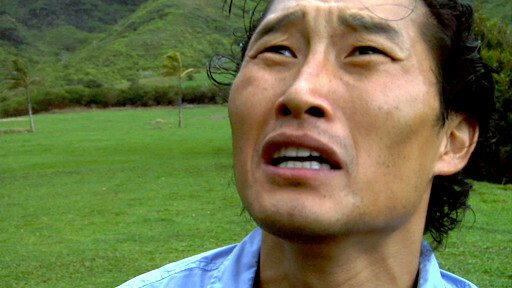 At the very least, Ben’s role on the island—within the simulation world—is part of his fantasy. Much like Locke, in this realm, he’s someone important, whereas in the real world, he’s a nobody. This little clue is provided more by the writers than Juliet since I think she’s still in the dark., but it definitely seems to be a clue to the dream-like nature of the island. Even the title of the episode points to that. While on the obvious level, it points to Juliet being a spy, it also implies that all of them may be asleep. 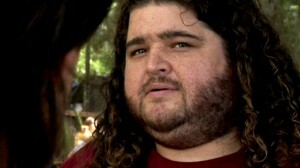 The LOST writers have seemed to have stuck the Walt’s powers storyline on the back burner. We have come to see other characters with powers like Miles, and it has been insinuated that the powers happened due to being born on the island. Can the same be said for Walt? Or is there another reason he can make birds fly into walls or windows? If Walt is truly in a simulation, perhaps he feels trapped, as though he cannot move about freely—like a caged, or even dead bird. The dead birds may be symbolic of Walt subconsciously being aware of being strapped down. As I mention in The Myth of Lost, it’s also possible that he truly does have powers in the real world, and those powers are even more powerful with the simulation. Mobisode begins with Jin and Sun talking about Boone and Shannon. Jin thinks they are lovers and Sun says they are brother and sister. Jin doesn’t understand how she could know this and asks if they speak Korean. She says she just guessed. Soon, Arzt comes storming in complaining about Jack’s plan to move to the caves. After hearing the monster however, he changes his mind and decides to go. Like many moments of LOST, this scene serves as comic relief. 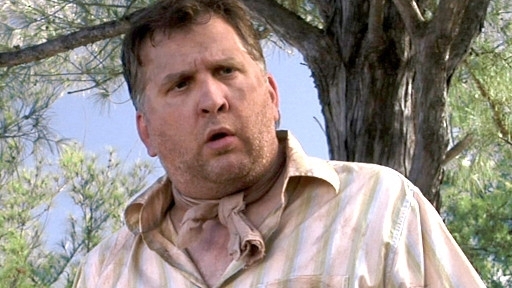 Like Charlie, Hurley, and Miles, Arzt is a trickster archetype. Mentioning that he was taking a leak while Jack was yelling for his dad in the woods is a pretty funny revelation. Having him change his mind about the caves due to hearing the monster is a very typical trickster moment. As for Jin and Sun, it’s also comical because the fact is, Jin was actually right. While Sun was relying on facts, namely, her understanding English and knowing Boone and Shannon were siblings, Jin’s intuition was correct. This is a theme that runs through LOST—facts aren’t always so set in stone, you must trust your instincts. While looking for Vincent, Michael sees Sun burying something in the dirt. He picks it up and sees that it is a false ID for her as a resident of California. Crying, Sun reveals that she was going to leave Jin, and feels that the island is her punishment. Michael tries to sooth her and in doing so, they almost kiss. But Vincent barks interrupting them and Sun says she has to get back to Jin. Assuming Jin and Sun would be in the simulation to work on their marriage, it’s very fitting that Vincent would bark just before she’s about to connect with another man. Of course, the island isn’t her punishment, it’s a way to challenge her and Jin to get back together. All things that cause us to grow challenge us at first and seem like punishments, but they serve a greater function that enable us to be happier in the long run. Just like Sun and Jin once they reunite—and they will. Michael approaches Arzt and asks what the weather conditions would be the following day. Arzt admits that he doesn’t know, that he’s just a H.S. science teacher and made up the stuff about the monsoons. He then reveals what he was doing in Sydney—he flew there to meet a girl he’d met online. Only, he’d used his friend’s picture. He took her to a nice restaurant and ordered lobster but then she snuck out the door. Instead of chilling in Sydney, Arzt took the first flight home. Once again, it’s another comic relief scene. While the lighthearted music and Michael’s repeated attempts to leave try to bring out the humor, the scene is actually kind of sad. You can’t help but feel bad for Arzt. He is lacking confidence—hence his need to lie to Michael and lie about his looks. He overcomes this issue once he joins up with Jack, Kate, and Hurley to help move the dynamite. Of course, this solved his issue, so he was able to leave the simulation. And that’s why he died. I also found it interesting how Michael brings up that everyone on the beach has “a story just like yours.” Yeah, they all have issues. Why would that be unless they were all there to right some wrongs in their life. If it’s not a simulation, then there has to be some other grand scheme whose purpose is to right the wrongs of their lives for whatever reason. Perhaps it’s Jacob, who is trying to course correct history, or a power greater then him. But there needs to be a reason why all these people have issues besides just the fact that it makes for compelling TV. 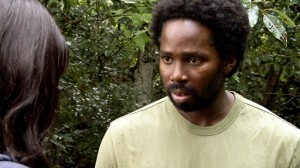 Ethan approaches Jack with a suitcase filled with medications that he claims to have found in the jungle. He also begins to get him thinking that they might not be getting rescued, and that Jack may need to deliver Claire’s baby on the island. Ethan then tells Jack that his wife died in childbirth and that the baby didn’t make it either. I think this scene is meant to show us that perhaps Ethan wasn’t such a bad guy after all and that he did have the best interest of the survivors at heart. What is particularly interesting is that we now know that Ethan was the last baby to be born on the island. I’m not sure how we are supposed to believe that he is only 27, perhaps it will be explained, or perhaps it won’t. 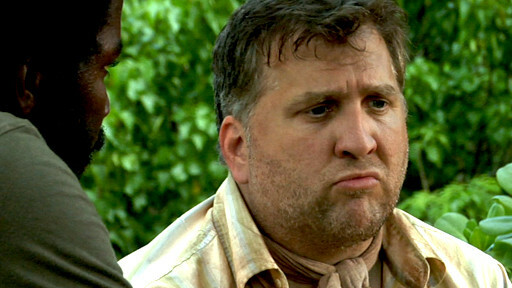 Either way, we see here that Ethan seems to be working in tandem with the programming of the island to challenge the Losties to grow so that they will be able to die, and therefore, leave. Jin is playing golf with Michael and Hurley. Upon losing, he flips out, releasing all the pent up anger he’d been holding inside since arriving on the island. He complains that nothing ever goes right for him. Being that we know Jin has a temper, I guess that scene reveals one of the many times he likely flipped out that we never got to see—specifically, complaining about his situation which he very likely would’ve done. In therapy, sometimes it’s good just to let the patient completely let go of all their anger, to completely vent so that they can refill that void with a more constructive foundation. After this scene, Jin is ready to rebuild himself and his relationship with Sun—score one for the simulation program, or mythologically speaking, the universe. Watching the challenges of the Losties from our vantage point, it’s easier to see why challenges are sometimes necessarily to help people on their path. Once realizing that, we are more likely to accept the challenges in our own lives. Juliet has just burned cupcakes, and then her hand as she rushes to take them out of the oven. Amelia, one of the Others who is possibly supposed to be Amelia Earhart, asks what’s gotten into her. From Amelia, we learn that Ben may have revealed emotional feelings for Juliet. Juliet, than says she thinks that they are in big trouble and needs to show Amelia something. She begins to pull out an envelope from one of her draws, apparently with Ben’s tumor x-rays inside. Before she has a chance however, the doorbell rings, leaving us to believe that Amelia never got to see the contents of the envelope. Why would they be in big trouble because of Ben’s x-ray? Well, because that would mean that the island is no longer healing. Even worse, it may be harming, or trying to take Ben out the picture. Juliet senses that something is wrong. If they are in a simulation program though, why give Ben a tumor? Well, because it gave Jack a chance not to fix him. He failed that test though since he did fix him. Ben’s illness was all just a means to help Jack, whether Ben knew it or not. 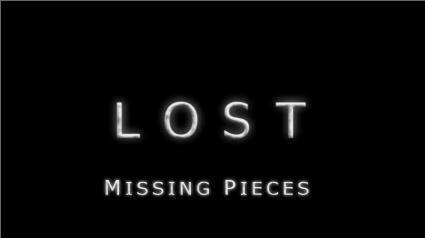 In “The Myth of Lost” I posit that Ben may the simulation program itself. While I think this would be a really cool idea, showing Ben as a kid has made this possibility less likely. The action begins from someone or something’s POV sniffing around the forest. We soon realize it’s Vincent the dog. He soon comes across someone standing in a pair of white sneakers who turns out to be Jack’s father who was supposedly already dead. 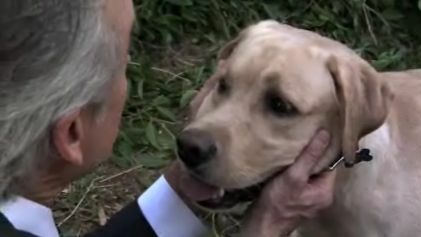 He pets Vincent and tells him to find his son who’s lying unconscious in the woods because “he’s got a lot of work to do.” This fits perfectly with my simulation theory because firstly, I’ve said that Jack’s father is really still alive and two, since he paid for his son to enter the simulation, yes, he has a lot of work to do. 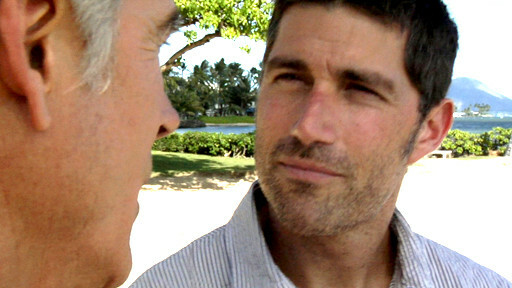 The scene then connects to the very beginning of the episode with the close-up on Jack’s eye dilating. While Season 5 has led many to believe that Jacob’s enemy has taken the shape of Jack’s dad, this scene doesn’t seem to support that. If Christian were an imposter, why would he need to tell a dog to wake up his son? At the very least, he could say Jack. For that matter, how would a dog understand at all, unless it is part of the program and just exists as a helper. Many have said that this scene proves that LOST is all just a time loop. Great, but that still doesn’t explain the purpose of it all. Perhaps it is a time loop, but there still has to be a bigger picture to resolve all the mysteries. 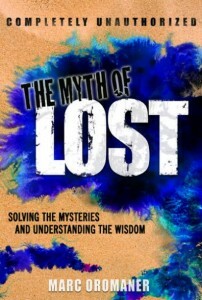 Marc Oromaner is a New York City writer whose new book, The Myth of Lost offers a simple solution to Lost and how it provides hidden insight into the mysteries of life. He can be contacted in the discussion section of The Myth of Lost Facebook page.